Writing is an important skill children practice every day in school. When school is out for the summer don’t let the writing stop. Check out these ideas on how to keep your kids writing this season! Kids love having a nice journal with a cover in their favorite color. It gives them a sense of privacy, self-worth, and identification. While on summer vacation, writing in a journal about their trip to the beach, the museum they visited, or family trips is one way to keep memories fresh whenever they want to look back on them. Journaling is also an outlet for any frustration they may have, channeling it in a positive way. Writing gives kids an opportunity to explore and identify emotions. Journaling allows kids to create their own visuals charts to help them sort through pros and cons on difficult decisions which need to be made. Writing also gives children the opportunity to plan out future conversations that might be difficult for them to have. Children can also reflect on events of their day and reassess choices made after the immediate situation has passed. Although the internet has made the world seem small, many teachers arrange for teenagers to write to pen pals from other countries over the summer. Pen pals are great for encouraging perspective talking, promoting patience, fostering an interest in social studies, promoting patience, and developing social skills. Writing not only reinforces creativity, but increases their vocabulary and sentence usage. If you are planning a trip by car, they can take the journal along and write about the places they’ve been and the people they’ve met along the way. They can also use the journal to post thoughts on books they’ve read. Writing and language are directly related. Writing not only improves their speech, but their reading as well. They are using their creativity without having to worry about being graded or judged. It’s their journal to write whatever they choose, and this is a fun way for them to create something that is their own. Writing as a fun summer idea for kids should be reinforced. Perhaps you have been keeping a journal. 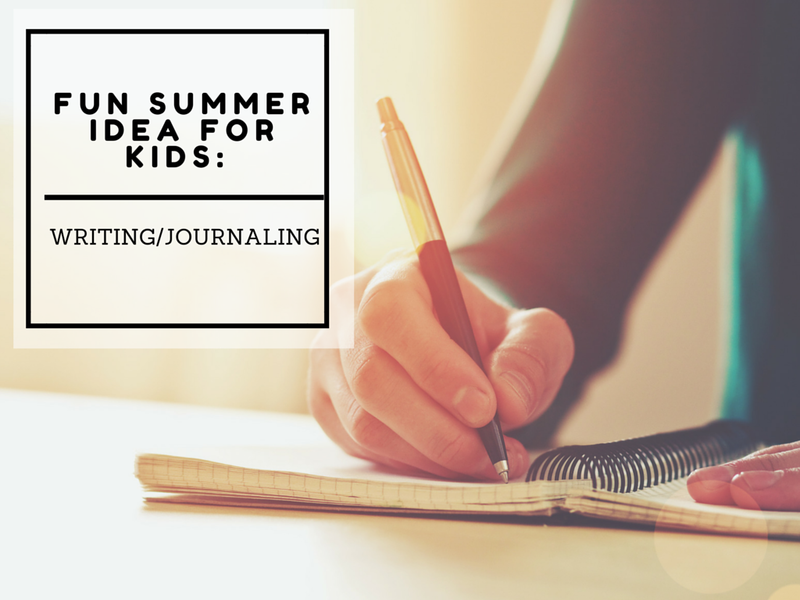 Share some of your stories with your kids, and in this way they too will want to begin their own type of journal and add as an activity every summer. Who knows, there may be a potential writer in your family.